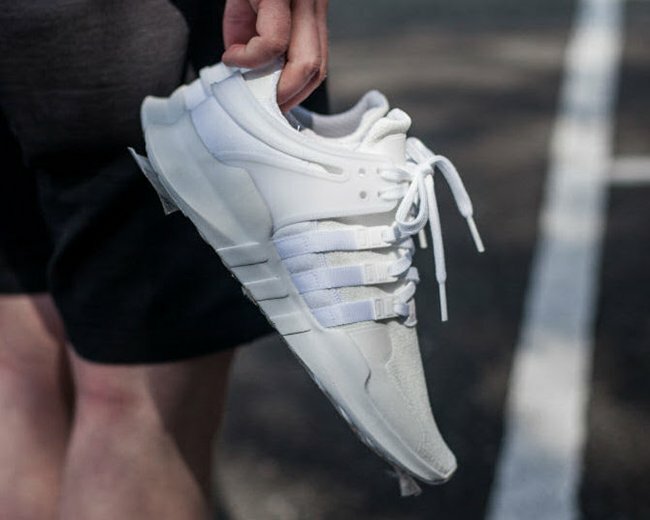 adidas Originals is starting to release one of their cleanest offerings of the updated adidas EQT. 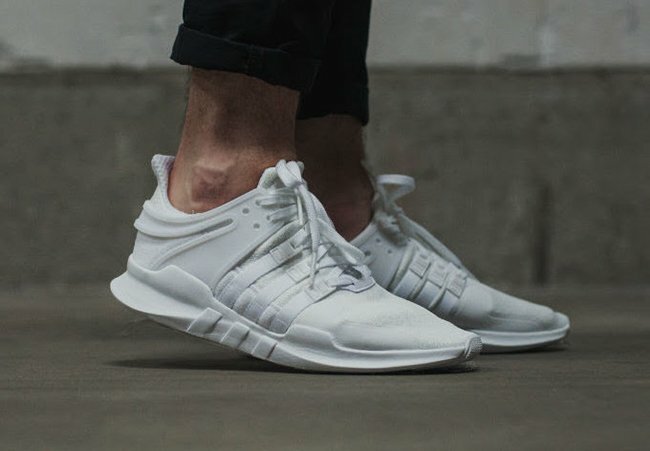 Shown is the adidas EQT Support ADV ’Triple White’. 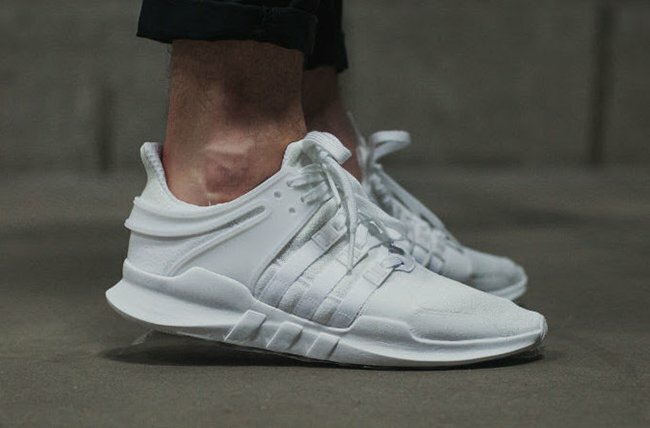 As you can see, this adidas EQT features an all White theme which is dressed appropriately for the warmer months. 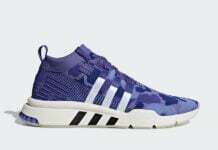 As for construction, we have a TPU cage, sock like upper and EVA used on the midsole while the Three Stripes covers the side. 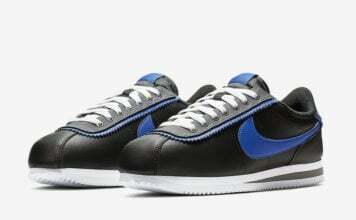 While White lands on the uppers, the shades extends across the midsole and outsole. 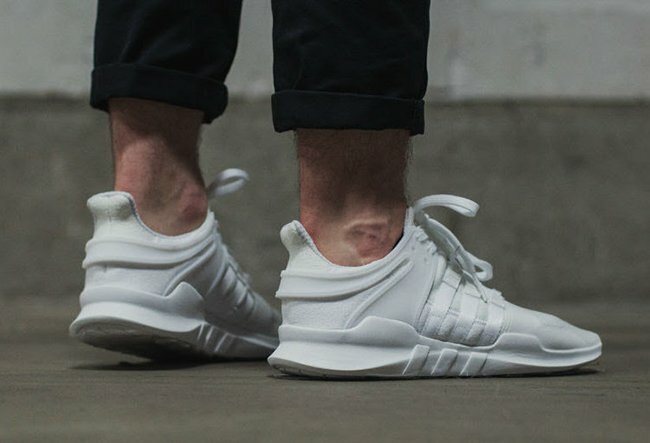 Continue to scroll below to check out more images of the adidas EQT Support ADV Triple White which will give you a better look and show you how they look on feet. 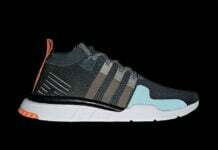 They are now arriving at select adidas Originals retailers which includes Inflammable. 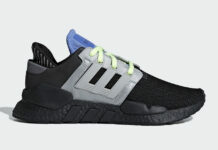 You can also expect additional retail locations to have them soon. 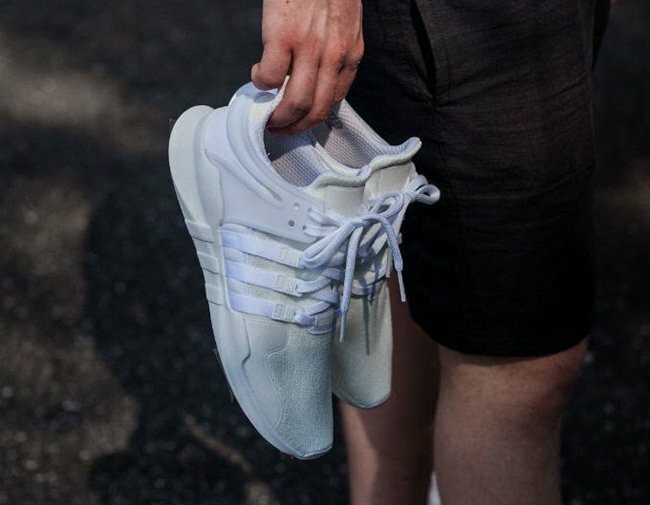 Let us know your thoughts on this clean pair in the comments section.